As you know, the Kentucky Derby® is right around the corner (did you see last week’s Sparkling Mint Juleps?). 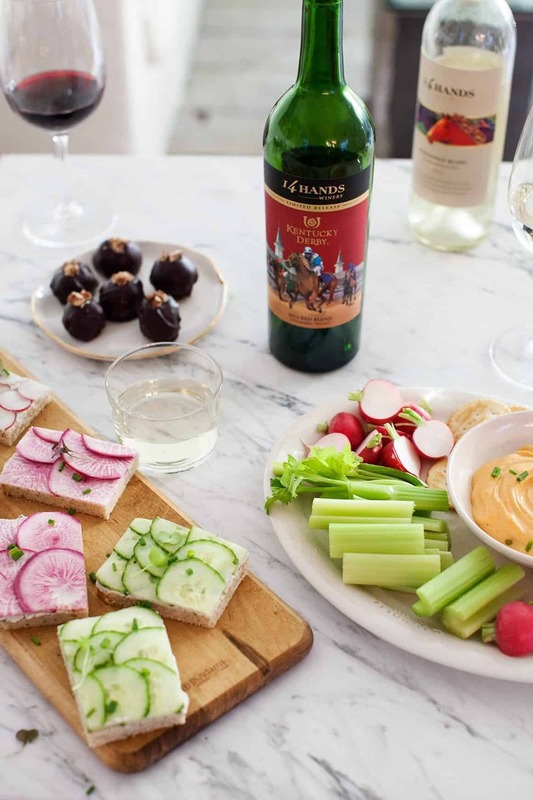 Today I’m partnering with 14 Hands Wine to share some Derby Day party tips, recipes, and a few great wine pairings. It’s time break out your fancy hats, pour some wine and get started! First up are these colorful open-faced (crust off!) tea sandwiches. These are super easy to make if you make the spread ahead of time and assemble these just before your guests arrive. Instead of a cream cheese spread I made an herbal creamy dill spread by blending sunflower seeds to create a creamy base. Slather it on some sourdough sandwich bread and then top with rows of paper thin slices of cucumbers, radishes, and candy striped beets. Use a sharp knife to cut the crusts off and you have the cutest little springtime snacks. (See the full recipe below in this post). 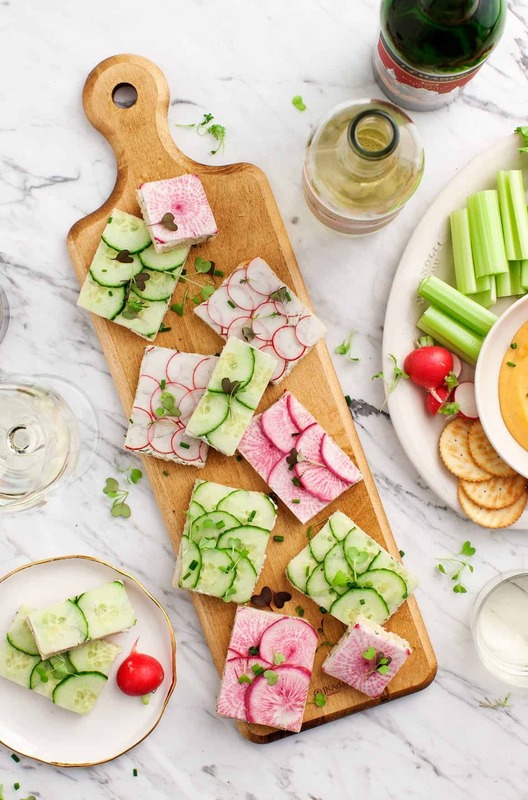 This recipe pairs especially well with 14 Hands Sauvignon Blanc – it’s citrus-y aromas and its crisp flavors of grapefruit and guava are a lovely compliment to these spring vegetable bites. Sometimes I find Sauvignon Blanc to be a little too sharp, but I love this one because it’s light, mellow, and juicy. My husband Jack has more southern roots than I do, so when I asked him what to put on my Derby Day menu he didn’t hesitate before blurting out “Pimento cheese!” What can I say, the guy loves cheese. Since we’re going for a lighter, brighter theme here, I made my version vegan and Jack, my cheese lover, is obsessed. Ok, that’s a lie – we’re both so obsessed that we sat down and ate it for dinner one night while I was testing it. Like, that was the whole dinner – crackers and “cheese”. And wine. Cashews give this spread a creamy base while jarred pimentos, dijon mustard, and lots of lemon give it a proper tang. 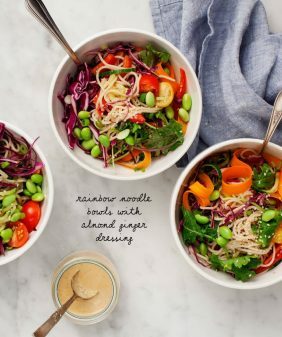 It’s best with Ritz-like crackers, but I also like to serve it with tons of chopped up veggies as well. This is another recipe you can make in advance, but just try not to eat it all before your guests show up. This recipe is also a wonderful pairing with the crisp flavor of the 14 Hands Sauvignon Blanc. And now for dessert! To be honest, I don’t always love wine and chocolate as a pairing, but when we tasted 14 Hands Limited Release Kentucky Derby Red Blend, the subtle hints of cocoa and caramel really stood out to me. That’s when I decided I needed to finish this menu with wine, chocolate, and pecans. In lieu of pecan pie, I made chocolate pecan truffles. The base of these truffles is made by blending pecan and dates before they get dipped in chocolate. The opulent red blend with aromas of blackberries and plums is a bold pairing with this sweet treat. 1. Make a fancy Mint Julep – check out the Sparkling Mint Juleps I posted last week. 2. 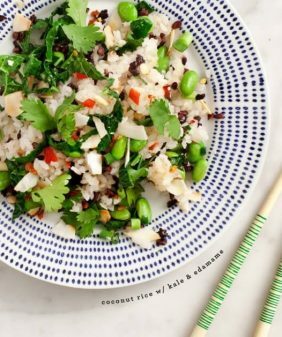 Go for pretty vegetable-forward dishes – they’re perfect for a spring menu and work well with the juicy flesh flavors of the wine. Plus, they’re so pretty and festive! 3. Make food that you can prepare ahead of time and easily assemble before guests arrive. 4. Be sure to have plenty of wine! 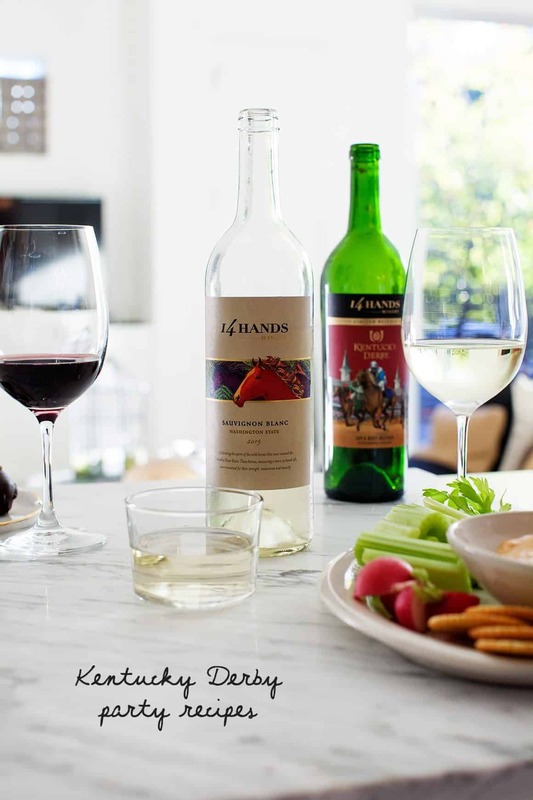 14 Hands is the preferred wine of the Derby, so taste and create your own wine pairings with the Kentucky Derby Limited Release Red Blend−perfect for any Derby party, and the new Rosé. 5. Tune in to Facebook Live on Thursday, April 27th at 2pm CST to watch me demo these recipes and set up a simple party table that you can recreate for your own Derby gathering. Serves: Makes 16 to 20 small tea sandwiches. Make the Sunflower dill spread: In a blender, combine the sunflower seeds, water, garlic, lemon juice, rice vinegar, salt, and a generous pinch of pepper. Blend until smooth. Add the dill and blend until just combined. 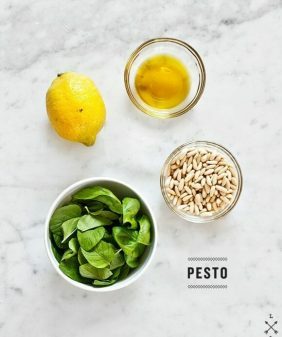 You want the dill flecks to incorporate, but you don’t want the puree to turn green. Chill until ready to use. Stir before using. 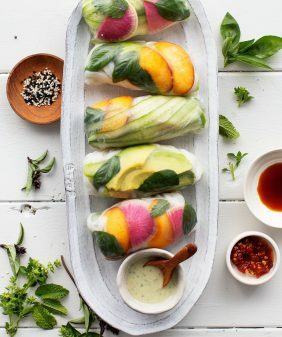 Assemble the sandwiches with a thin layer of the sunflower spread, followed by overlapping rows of the sliced cucumber, turnip and radishes (see photo). Gently press the vegetables down onto the bread to ensure that they will hold together. Use a sharp chef’s knife to slice off the crusts and then slice the sandwiches in half into rectangles. Garnish with chives and/or microgreens. In a high speed blender, combine the cashews, water, lemon juice, Dijon mustard, sriracha, pimento peppers, garlic, smoked paprika, salt and a generous pinch of pepper. Blend until smooth, using the blender baton to help keep the blade moving. If the mixture is too thick, gradually add more water until smooth. Chill until ready to use. Garnish the dip with the chopped chives and serve with crackers, celery, and radishes for dipping. Serves: Makes about 20 truffles. In a food processor, pulse together the pecans, dates and sea salt. Add the maple syrup and pulse until the mixture sticks together (it should clump together to form a ball). 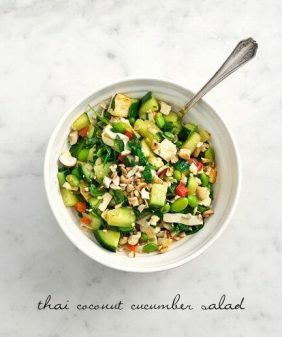 If the mixture is too dry or crumbly, gradually add some coconut milk. Use a tablespoon to scoop the mixture and roll it into approximately ¾-inch balls. If the mixture is too soft or sticky to work with, put it in the fridge for 30 minutes to firm up. Once the balls are rolled, place them in the fridge for at least 1 hour to firm up. This will help them stay cohesive while dipping in the chocolate. Melt the chocolate in a small bowl. Dip each ball to coat and place on parchment paper or a wire rack. Top with the crushed pecans and/or coarse sea salt. Special thanks to 14 Hands Winery for partnering on this post! This all looks like a lot of fun! I like the classiness and freshness of all your Kentucky Derby recipes; they feel so bright and springlike. In fact, all your recipes usually feel bright and uplifting! Are those tea sandwiches literally the most gorgeous things or what?! I wasn’t planning on having or going to a Kentucky Derby Party, but I might have to make those & the truffles anyway!! Soooo do we have to have a Kentucky Derby party or can we make/eat all of these things and drink all of the wine just…watching Netflix on the couch? Haha! How about a tip or two on making those beautiful tea sandwiches? Especially how to cut those thin slices of vegetables so cleanly. I used a mandoline – I like the Beriner because it’s affordable and doesn’t take up much kitchen space! wow, what a spread! 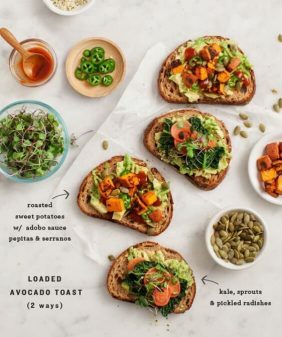 the vegetable pimento dip looks really good without the traditional ingredients, as do those beautiful sandwiches, thank you for all of this! Jeanine, this is such a fun post! You are taking me back to my childhood. We attended the various horse races across the South. The saying back then was “I came to the race and I never saw a horse”. You are making me want to put on an outrageously large hat and cook some delicious food. This looks absolutely amazing. I think I’m gonna make it for a ”party” of my choice (read as a regular Friday night). Thanks for sharing. The information you shared in this blog is the most efficiently reliable one. Hi! So, I opted for the classic cream cheese (we used a local brand made with sweet basil), and made the cucumber sandwiches for my daughter’s 8th birthday. I use a stainless steel knife to cut the cucumber. Microgreens were a big hit, too! Thanks for a fun party recipe! These tea sandwiches look amazing !…Works of art !…Have to try these at our next “garden party”. Vegan Pimento Cheese Dip….very interesting combo of flavors. I’m curious…do the cashews give it the dip type consistency ? yes! the cashews, blended, create a creamy dip consistency.